Had a great stay in this apartment. No issues the house is 400 metres to the tele cabin of Vallnord. I suggest renting a ski locker on the mountain to save carrying equipment. Spent 2 days skiing at Vallnord and 2 days at Granvalira. 15 mins to Encamp by car(if no traffic). It´s better to set off earlier because 9.00-9.30 is busy on the weekend. The apartment has everything you need and the 2 toilets is a bonus. 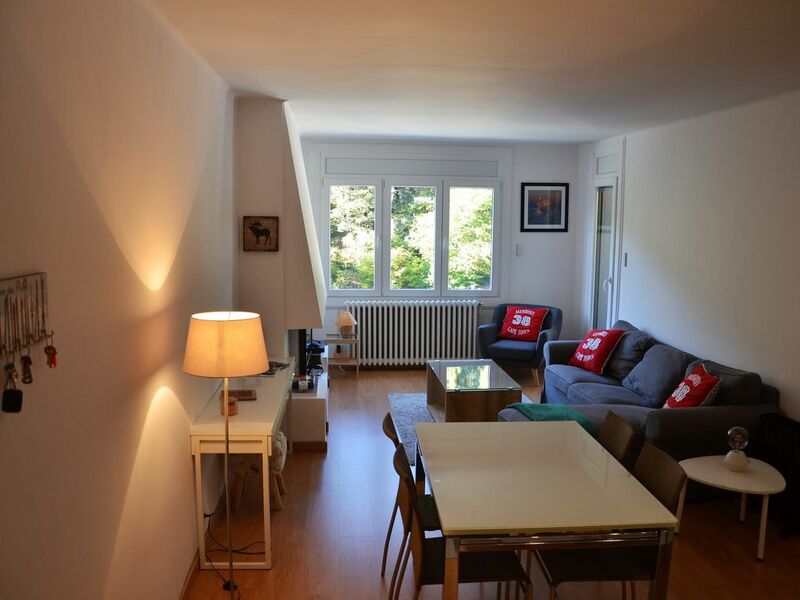 Lovely comfortable and warm flat, close to town and telecabina for snowboarding. Extremely clean, all amenities for cooking and comfortable rooms. Flo and Kevin were very friendly and helpful. Couldn’t ask for more! The apartment is very well appointed with everything you need and is very comfortable. Super location close to a number of restaurants and bars. Only very small problem was the extractor fan in the bathroom didn’t work so lots of steamed up mirrors and the bathroom was a little damp. Next time we come to Andorra will stay here we had a great time and loved every minute of our stay. Muy buen apartamento !! Exelente atencion !! Muy prolijo todo !! Excelente limpieza !! Muy recomendable !! Todo perfecto. Muy agradable y recomendable. El apartamento es tal y como se describe y está muy bien situado. Flo y Kevin fueron muy agradables y nos ayudaron en todo lo que pudieron. Fue una experiencia muy agradable y pensamos repetir. Un anfitrión de confianza. Gracias por todo.